I spent 13 years living in Baltimore. As a movie theatre manager I was very fortunate to manage the theatre of choice of local filmmaker John Waters. He was a frequent guest and, when I asked, would stop by the office for a few minutes after his film just to talk about what he had coming up. Of course, I was glad to play the original film “Hairspray,” and am proud to be friends with some of the local talent used in the film. Years later, Mr. 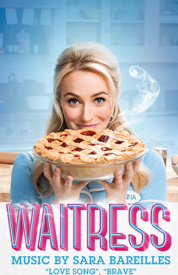 Waters took the film to Broadway, where, 15 years ago, the musical version earned 13 Tony Award nominations, winning 8, including Best Musical. This week, the fun and energy you can only find in Charm City is on display at the Starlight Theater as “Hairspray – the Musical” arrives. Baltimore 1962. Like many cities in America, civil rights are on the front burner. We meet Tracy Turnblad (an outstanding Jessica Alcorn) as she greets the day, and the audience, with the bouncy “Good morning, Baltimore.” Tracy is a fan of the Corny Collins afternoon dance program on television and secretly dreams to not only be a dancer on the show, but to end up in the arms of the show’s best male dancer, Link Larkin (Eric Geil). Tracy lives at home with her parents. Mother Edna (Brad Oscar) takes in washing and hasn’t been outside the apartment in years. Her father, Wilbur (Bruce Roach), runs a joke shop called the Har-Har Hut. Tracy has a friend named Penny, who encourages her to follow her dream. And so she does. First off, I must comment on the energy the entire cast brought to the show. It’s always a plus when you can sense that the cast and crew WANT to be there. The musical numbers were infectious. If you knew the words (guilty) you quietly sang along. If you didn’t, you were dancing in your seats. As Tracy, Ms. Alcorn soars. She is the heart and spirit of the show and she shines in a role that a lesser actress could easily dilute spirit-wise. Supporting roles played by Katie Karel (Penny), Cathy Barnett (Velma Van Tussle) and Erin Riley (Amber) stand out here, as does Regina Levert whose Motormouth Maybelle steals the scenes she is in. And I would be remiss if I didn’t note that Kansas City audiences are having the rare treat of seeing a true Broadway legend in Brad Oscar. Ever since Harvey Fierstein first originated the character, Edna has been played with dignity. Mr. Oscar continues that tradition here. 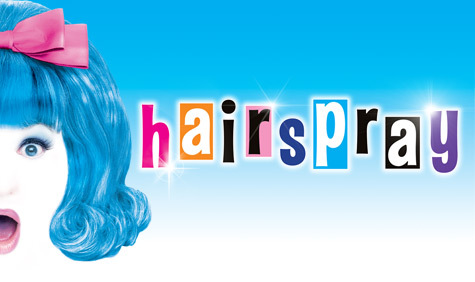 “Hairspray – the Musical” plays at Starlight through August 2nd. For tickets to those shows click HERE. I can imagine it’s pretty hard to write a Broadway musical. In 1943, a couple of guys named Richard and Oscar took a popular novel and turned it into one of the most popular musicals of all time; “Oklahoma!” They followed it up with “Carousel,” “State Fair” and ‘South Pacific.” Four hits in a row. What would Mr. Rodgers and Mr. Hammerstein come up with for their next show? Our story begins with Anna Leonowens (Elena Shaddow) aboard a boat with her son, Louis (Ryan Stout). They have traveled from England to visit the court of the King of Siam, where Anna has been employed as the new teacher for the King’s wives and children. Both mother and son are taken by the pageantry that accompanies their journey to the palace, as well as the exuberance of the King (Jose Llana) himself. The King wishes to have his country adapt more modernist attitudes, and he hopes this English teacher can help him change. And help him she does. “The King and I” is a show I’ve been dying to see performed live since I first saw the film in the early 1970s. The closest I ever got was a touring production, starring Yul Brynner, that came through Baltimore in the mid 1980s. Sadly, I didn’t get to see the show, but I later did eat in the same Chines restaurant made popular by the fact that, when Brynner visited for dinner, somebody stole his shoes. And, while it would have been amazing to see Brynner in his career-defining role, this new tour is equally every bit its equal. 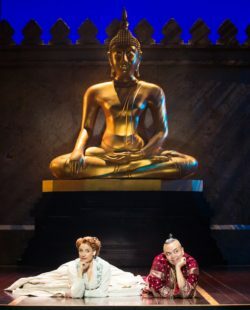 Both leads give amazing, energized performances and I would be remiss if I did not point out that Mr. Llana makes the role of the King his own. The supporting cast is just as good and the music….well, it’s Rodgers and Hammerstein, for God’s sake! What’s amazing is that Rodgers and Hammerstein still had “Cinderella” (a perennial favorite on television), “Flower Drum Song” and “The Sound of Music” to follow. Filled with familiar songs like “Hello Young Lovers,” “Getting to Know You” and “Shall We Dance,” the show is easily one of the best productions I’ve seen at Starlight in a long time. The show plays in Kansas City through June 17th. 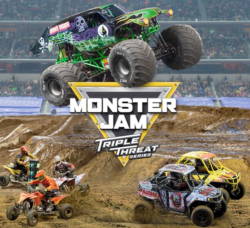 For tickets to a performance, either in Kansas City or later in the tour, click HERE. They were one of the most popular bands of the 1980s, selling over 100 million albums worldwide. But before the Miami Sound Machine started, what was the story that brought Emilio and Gloria Estefan together? With set pieces set in Cuba and Miami, “On Your Feet” is a highly entertaining tale about two people destined to meet and create some of the most popular music of the last century. It is also a story of the power of love, which comes into play after tragedy strikes and music is the furthest thing. The show rides along on the mighty shoulders (and voices) of Mauricio Martinez and Christie Prades who, as Emilio and Gloria, share the majority of the vocal duties. Both are well cast and their chemistry is evident. The supporting cast is equally strong. 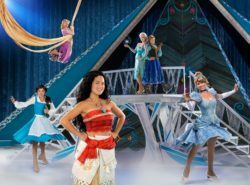 The choreography is top notch and the direction keeps the show flowing easily. And then there are the songs! AMAZING! That is the first word that popped into my head as “The Lion King” began. While being mesmerized by the animated and musical Rafiki (Makelisiwe Goga), we were treated by a parade of animals down the aisle, from the rear of the theater to the stage. Birds. Gazelles. Elephants. They strode past in their proud majesty and filled the stage. And for the next two and half hours, the excitement never died. 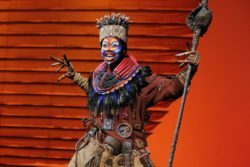 “Rafiki” in THE LION KING North American Tour. ©Disney. Photo by Joan Marcus. Based on the 1994 animated film of the same name, the story of “The Lion King” is much as it was in the film. Some of the characters are fleshed out more and there are more songs, also written by Elton John and Tim Rice. The characters are familiar and are portrayed in an amazing way. While the majority of the lions just wear lion heads, other characters are portrayed by actors holding/wearing puppets. The effect is jaw-dropping. Even the lovable duo of Timon and Pumba are portrayed this way, a way that is not distracting in the least. The original show, which is now the third longest running show in Broadway history, was nominated for an amazing eleven Tony Awards, winning six, including Best Musical. 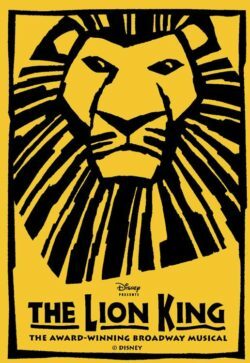 I’ve been attending shows, both on Broadway and off, since 1980, and I would easily put “The Lion King” in my top 10 of best shows ever. “The Lion King” runs in Kansas City at the Music Hall through May 27th. For ticket information, or to see where the tour is heading next, click HERE. 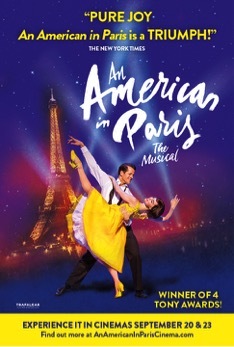 May 2018: Trafalgar Releasing has announced the North American theatrical release of the highly acclaimed musical, An American in Paris, coming to movie theaters across the USA on Thursday, September 20 and Sunday, September 23.This new rendition of An American in Paris premiered in 2014 at the Théâtre du Châtelet in Paris to ecstatic reviews before transferring to the Palace Theatre on Broadway, where it became the most awarded musical of the 2015/16 season, including four Tony® Awards. 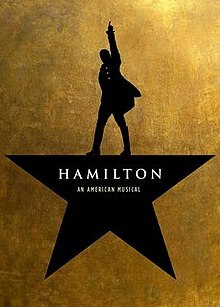 While the U.S touring production continues to see great success with performances booking until July 2018, theater enthusiasts across North America can now experience the magic of the hit Broadway Musical performance from London’s West End in their local movie theater this fall. An American in Paris is directed and choreographed by the internationally renowned, British-born Christopher Wheeldon, recipient of the Tony® Award 2015: Best Choreographer for this production. An Artistic Associate of the Royal Ballet, Wheeldon received an OBE in the 2016 New Year’s Honours ‘for services to promoting the interests and reputation of British classical and theatrical dance worldwide’. The set and costumes are designed by the celebrated West End and Broadway designer Bob Crowley (The Audience; Mary Poppins) with projections by the prominent British designers 59 Productions (War Horse; London 2012 Olympic Games Opening Ceremony), lighting by Natasha Katz and sound by Jon Weston.The musical score is adapted, arranged and supervised by Rob Fisher with orchestrations by Christopher Austin and Bill Elliott; dance arrangements by Sam Davis; musical supervision by Todd Ellison; and musical direction by John Rigby. Tickets for An America in Paris will be on sale starting Thursday, July 12 and can be purchased at AnAmericanInParisCinema.com. For information regarding the National Tour please visit AnAmericanInParisBroadway.com.